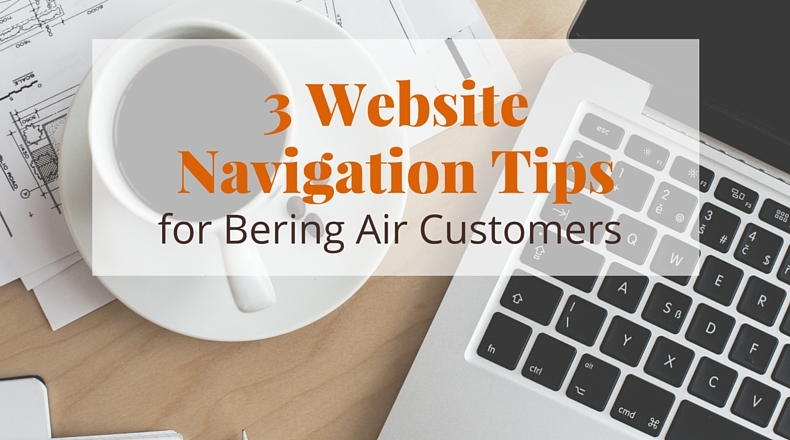 Have questions about navigating the new Bering Air website? We get plenty of inquiries from customers every day. So to better serve you, we’ve pulled together some handy website navigation tips based on your most common queries. Are you confused about how to book a flight online? These easy steps will make buying your next one way or roundtrip ticket a breeze. Locate the Book a Flight box at the top of any page, then select Round Trip or One Way flight. Select your departing and returning dates, then click the Find Flights button. Choose your desired flight from the list of available flights by clicking on the ticket purchase price. Finally, fill out your passenger and billing information, review your flight details, and confirm your purchase. Note: If you’d like to book a multi-destination itinerary, please use our multi-city request form. We serve 32 villages in Western Alaska from hubs in Nome, Kotzebue and Unalakleet. Most destinations receive twice daily scheduled flights Monday through Saturday, with once a day service on Sunday. Visit our flight schedules page to view and download a printable version (PDF). You can also look for this link on our website footer. Follow us on Twitter for updates on departures, arrivals, and weather-related changes or cancellations. Visit our website and check the ticker at the top of any page for recent updates or changes. Visit our destinations page to see which locations we serve. Click on the name of your destination, either on the left-hand side of the page or by using the interactive map. Scroll to the bottom of the village page to find the Village Agent’s contact information. Currently, Gold Points and PFD Special Coupons must be redeemed by phone. If you’d like to apply these to your upcoming trip, or if you were gifted points or coupons that you’d like to use, please contact our helpful customer service staff to make your flight reservation. If you’d like immediate assistance, you can live chat with us by clicking Ask Bonnie in the navigation, then the Bering Air Live Chat pop-up at the bottom of the webpage.